Reach Your Peak (RYP) offers year round guiding/instruction of rock and waterfall in southwest and central Montana. 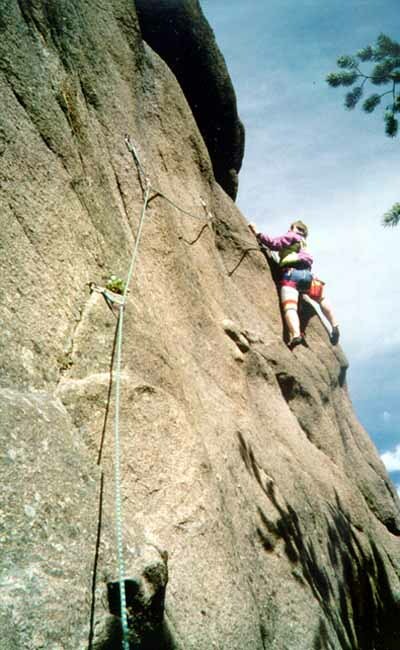 RYP is Montana's oldest establishment of guiding climbers and the most knowledgeable of the area. RYP guides in the following areas: Castle Mountains, Indian Creek Canyon, Gallatin Canyon, Humbug Spires, Hyalite Canyon and the Allen Spur. Ron Brunckhorst is committed to keeping climbing both fun and safe with a low guide to client ratio and 25 plus years of guiding experience. Ron Brunckhorst is an individual member of the AMGA.